I love honey, who doesn't, it's the nectar of the gods according to the Greeks. 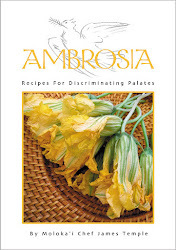 My third cookbook "Ambrosia" talks a lot about honey. Ambrosia is historically famous for having a golden color, like honey. Some researchers believe that ambrosia was a form of honey, which was the sweetest food the Greeks knew about before the introduction of sugar. At any rate, honey has been eaten by emperors and kings through history, highly treasured for its subtlety, sweetness and luxury. On October 21, 1857, three bee hives were shipped to Honolulu from California. 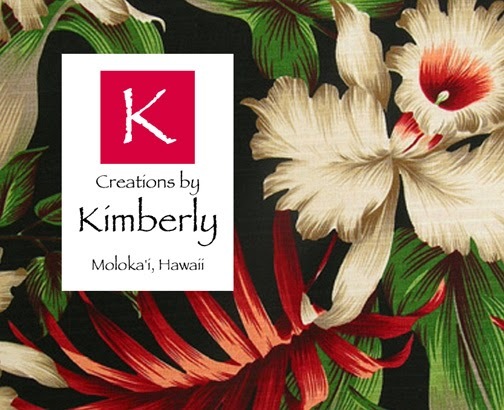 They thrived and multiplied giving rise to a huge industry here in Hawaii. The Hawaiian word for honey, or honey bee is "meli", Moloka'i Meli is a family owned company producing honey here on Moloka'i. Moloka'i Meli's hives are located in a kiawe grove, so the bees produce exclusively kiawe honey. This raw and unfiltered honey retains natural enzymes, nutrients and pollen particles. 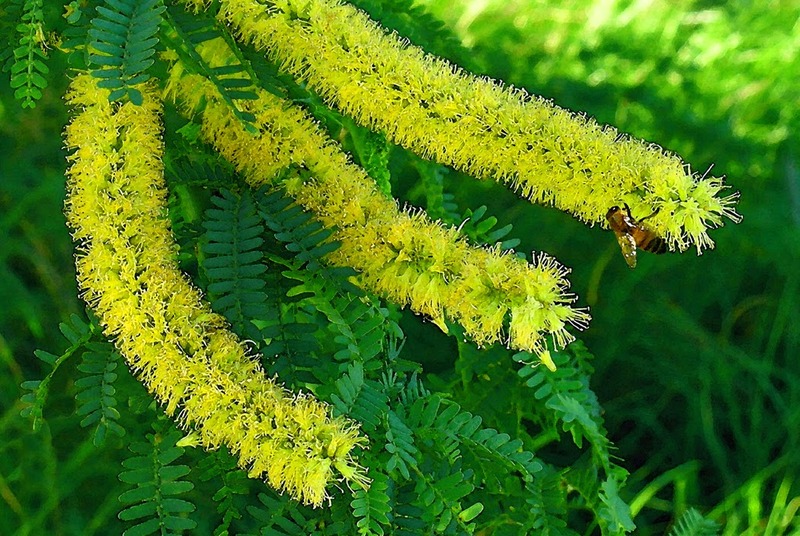 It has a light sweet flavor with a tropical flair and is a much-sought-after variety of honey. Japanese tourists make up for about 70 percent of Moloka'i Meli's sales on Oahu where their honey is sold at various farmers markets. Moloka'i Meli's products are also available through their website, RealHawaiiHoney.com, or on Moloka'i at Kamakana Country Store, Kumu Farms, and The Outpost Natural Food Store. 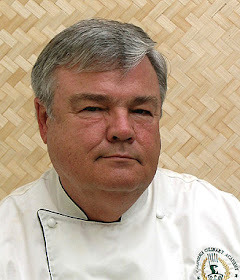 The 2013 Hawaiian Natural Honey Challenge conducted by the Big Island Beekeepers Association attracted 132 entries from 41 beekeepers across four islands. The top award for the best honey in Hawaii went to the Moloka'i Gold apiary, operated by Micah Buchanan and Marshall Joy. 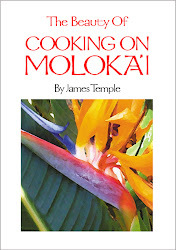 The average score in this contest is around 18-20 for most of the honey entries, but Moloka'i Gold scored 42.75. This is a new operation with big plans. Until these two young men can expand their operation, you will only be able to buy their kiawe honey at the Saturday Moloka'i farmers market. 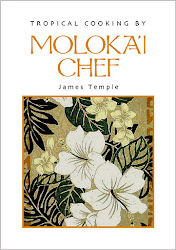 It is important to mention that Moloka'i was once one of the largest producers of kiawe honey in the world. It's nice to see this industry coming back. Honey is a wonderful thing to keep in large quantities in your kitchen because it will not spoil. You can keep it indefinitely, unrefrigerated in a cool location away from direct sunlight and in a tightly covered container. So when you are preparing a hurricane supply list don't forget honey. Honey is great as an ingredient in so many recipes. It adds a depth of flavor like nothing else. It also is a nice foil playing against salty or sour flavors, like soy sauce or lemon. I have put together a few of my favorite honey recipes for you to enjoy. Sift flour and salt and pepper into a bowl. Make a well in the center, add egg and water, and gradually mix with the flour. Beat to a smooth batter and set aside for 10 minutes. Meanwhile, toss shrimp in cornstarch and coat well. Shake off any excess cornstarch. Add shrimp to batter and coat well. Heat oil in wok and add shrimp, a few at a time. Cook until batter is golden. Remove shrimp, drain on paper towels, and keep warm. Repeat until all shrimp have been fried. Carefully remove hot oil from wok. Gently heat sesame oil in pan. Add honey and stir until mixed well and heated through. Add shrimp to mixture and toss well. Sprinkle over sesame seeds and again toss well. Serve immediately. Makes 6 appetizer servings. Now here's an unusual looking appetizer for entertaining. These small pork balls, with their rice "quills" poking outward, are easy to make, a conversation piece, and delicious. You can even prepare them ahead of time and refrigerate for up to 2 days before steaming them just before your guests arrive. Cook the wild rice as directed on the package, about 45 minutes, or until just about cooked but not completely cooked. Drain in a colander, shake dry and spread on a plate or bowl. Combine all the other ingredients in a medium bowl, and knead with your hands until thoroughly blended. Form the mixture into small balls, using about 1 tablespoon for each ball. Roll each ball in the cooked and dried wild rice, pressing the grains into the ball to they stick. Cover and refrigerate until ready to use, up to 2 days. To cook the porcupine balls, line an Asian bamboo steamer basket with lettuce or cabbage leaves. Set the meatballs, without crowding them, on lettuce or cabbage leaves. Select a wok or pot that the steamer basket will fit in, so that the basket rests firmly on the bottom. Pour water to the depth of 1 inch and bring to a boil over high heat. Set the steamer basket in the pot and cover, and steam until the meatballs are no longer pink at the center, and the rice is tender. About 25 minutes. Serve the meatballs in the bamboo steamer or transfer them to a platter. Offer toothpicks for picking up the meatballs and dipping them into the Asian dipping sauce. To make the sauce, put ingredients a small bowl, mix, making sure that the honey is blended. Taste and make any adjustments to your taste. Serve in individual ramekins. Garnish sauce with sesame seeds or chopped scallions, or both. Makes about 20 Asian porcupine balls for appetizers. I like to add some fresh pineapple to this salsa. The combination of the mango and pineapple is amazing on grilled fish or poultry. If you want, you can add a little rum to the mix. Combine the mango, cucumber, jalapeno, red onion, lime juice and cilantro leaves and mix well. Season with salt and pepper, to taste. Great served with pork, chicken or fish, especially grilled salmon. This is a simple Asian cole slaw recipe that is so good as a side dish for so many Asian recipes, like with ribs or chicken. It's also wonderful in a grilled mahi-mahi fish sandwich or fish tacos. Combine the cabbage, carrots, green onions, cilantro, and red bell pepper in a large bowl. Whisk together the ingredients for the dressing in a small bowl. Pour the dressing over the cabbage mixture and toss to coat. Cover and refrigerate for 1 hour or until chilled. Sprinkle with roasted sesame seeds just before serving. Makes 6 servings. a mixture of sliced fresh fruit (mango, papaya, orange slices, bananas, pears, etc., whatever is in season) on a bed of watercress, or other salad greens that you like. In a small bowl, whisk together the oil, honey, vinegar, sesame seeds, ginger, garlic, sesame oil and red pepper flakes. Serve over your favorite salad greens with fresh fruit. Makes 2 1/3 cups of dressing, enough for 6-8 salads. Preheat oven to 350˚F. In a bowl or 1-gallon plastic resealable bag, combine flour, salt and cayenne pepper. Add Cornish game hen halves, then dredge or shake to coat. Pour 1/4 cup butter into 9x13-inch baking pan; place Cornish hen halves in pan, turning pieces to coat. Bake for 30 minutes. For the burnt sugar glaze, combine brown sugar, honey, lime juice, chicken broth, soy sauce, curry powder and remaining butter in a mixing bowl; pour over Cornish hens. Bake 40 minutes more or until Cornish hen halves are tender but no longer pink on the inside, basting several times with pan drippings. Makes 6 servings. In a large self-closing plastic bag, combine first seven ingredients; mix well. Place salmon in bag and seal tightly. Turn bag gently to distribute marinade. Refrigerate 15 minutes or up to 30 minutes for stronger flavor. Turn bag occasionally. Lightly grease grill rack. Preheat grill to medium heat. Remove salmon from marinade; reserve the marinade. Grill 12-15 minutes per inch of thickness or until fish flakes easily with a fork. Brush with reserved marinade up until the last 5 minutes of cooking time. Discard leftover marinade. Make 4 servings. I've made this recipe many times and it's so good that I put it into my first cookbook! The marinade gives the pork a wonderful flavor, then the toasted sesame seeds really finish this off nicely. Combine soy sauce, garlic, ginger and oil. Place in a zip-lock bag with tenderloin. Toss to coat and marinate in the refrigerator for 3 to 6 hours, turning occasionally. Remove the tenderloin and discard marinade. In a shallow plate mix together honey and sugar. Roll the tenderloin in honey mixture, coating all sides. Roll tenderloin in seeds to cover meat. Place the tenderloin in a preheated grill for 20 to 30 minutes, turning 2 or three times, until meat thermometer reaches 155˚F. Slice and serve. Makes 4 servings. This is a Japanese pork belly recipe that is usually served donburi style, which is pork belly over rice. Slice pork belly into 1/4 inch pieces. sprinkle with Ichimi Togarashi. Heat oil in frying pan to high. Add pork slices and brown on both sides. Use a splatter screen over the pan to keep grease from splattering. Turn off heat and discard fat in pan. Turn heat back on to medium and add honey, soy sauce, oyster sauce, sesame oil, and minced garlic. Cook and stir until meat is nicely glaze. Try not to burn the sauce. Serve on top of hot rice and blanched spinach. Garnish with sesame seeds. Makes 2 servings. Wash and stem the beans. This can be done a day ahead of time and the beans placed in a zip top bag in the fridge. Bring a pot of salted water (at least 2 quarts) to a rolling boil. This takes up to 15 minutes. Add the green beans and blanch for 2 minutes. Drain and rinse the beans to stop the cooking, but leave them warm. Heat the butter/oil in a medium pan and simmer on low with the pecans. Once they are lightly browned, add the sesame seeds and the honey, stir regularly. Add the beans to the pan and toss with the seasoned nut mix. Taste for additional seasoning. Place in a serving bowl and cover with foil. Keep warm until ready to serve. Makes 8-10 servings. Melt the chocolate in the microwave or over boiling water. Set aside to cool slightly. Preheat oven to 350˚F. Butter a 9-inch springform pan and line the bottom with wax paper. Sift flour, soda and cocoa together. Beat together the sugar and butter, until airy and creamy. Add the honey. Add eggs one at a time, adding a tablespoon of flour with each. Fold in the melted chocolate, followed by the dry ingredients. Then add the boiling water, mixing well to make a smooth batter. Pour into prepared pan and bake for one hour, or until a cake tester comes out clean. If the cake is still loose after 45 minutes, yet the top is appears quite cooked, gently lay a piece of foil atop the cake. Cool cake completely in the pan on a rack. Remove the sides. Invert it onto a cake plate. (If the top stays just perfectly rounded, yes, flip it back over. If it sinks a bit, inverting the cake will mask the problem.) Slide strips wax paper under the edges to keep the plate free of glaze. Bring honey and water to a boil. Turn off heat and add the chocolate. Let it rest while the chocolate melts, then whisk gently. Sift the sugar into the pan (to avoid lumps) and whisk until smooth. Make the glaze in plenty of time to let it cool. If you put it on a warm cake or if it is still warm, the glaze will run right off. When the cake is cool and the glaze is room temperature, the honey glaze turns your cake into a shiny, irresistible confection. Slide the paper out from around the edges and serve. Makes 8 servings. These caramelized roasted figs are wonderful served hot or cold all by themselves, or served over honey ice cream (recipe above). Cut the stem and bottom off of each fig. Slice figs in half, lengthwise. Place a small dab of butter onto each fig half and place into a buttered baking dish. Drizzle a couple of drops of honey over each fig half, then sprinkle each with a little cinnamon. Roast in a hot oven (350˚F.) for 20-25 minutes. Serve hot or refrigerate and serve cold. Makes 40 roasted fig halves. Whisk together eggs, honey and salt in a medium bowl; set aside. In a medium saucepan over low heat, bring the half-and-half, buttermilk and lime zest to a full simmer. Once liquid begins to bubble, remove from the heat. Cover and let steep 2 hours. Once cream mixture has cooled, strain into another medium saucepan. Over low heat, bring to a simmer again. Temper the egg and honey mixture by adding the simmering cream to the mixture in a ladle a little bit at a time while whisking. Then, return the mixture to the saucepan. Continue to simmer over medium-low heat, whisking constantly until the custard thickens enough to coat a spoon and the thermometer reads 170°F to 175°F, about 4 minutes (do not allow mixture to boil). Strain mixture into a clean bowl and allow the steam to escape. Cover and chill mixture until cold (at least 3 hours, and up to 1 day). Process the custard in an ice cream maker according to the manufacturer’s instructions. Add avocado purée halfway through freezing. Transfer to a bowl or tub and freeze until firm, at least 3 hours, and up to 3 days. Makes 4 servings. This recipe makes a simply delicious, and elegant light dessert after a heavy meal. The crystallized ginger adds a hot tropical flavor mixed with the honey and vanilla. Core pears from bottom, leaving stems intact. Peel pears; cut 1/4 in. from the bottom of each to level if necessary. In a large saucepan, combine the water, sugar, honey, lemon halves, cinnamon and cloves. Split vanilla bean and scrape seeds; add bean and seeds to sugar mixture. Bring to a boil. Reduce heat; place pears on their sides in saucepan and poach, uncovered, for 18-22 minutes or until pears are almost tender, basting occasionally with poaching liquid. Remove pears with a slotted spoon; cool slightly. Strain and reserve 1-1/2 cups poaching liquid; set aside. Unfold puff pastry on a lightly floured surface. Cut into 1/2-in.-wide strips. Starting at the bottom of a pear, wrap a pastry strip around pear, adding additional strips until pear is completely wrapped in pastry. Repeat with remaining pears and puff pastry. Transfer to a parchment-lined 15-in. x 10-in. x 1-in. baking pan. Bake at 400°F for 20-25 minutes or until golden brown. Meanwhile bring reserved poaching liquid to a boil; cook until liquid is thick and syrupy, about 10-15 minutes. Place pears on dessert plates and drizzle with syrup. Serve warm. Makes 4 servings.